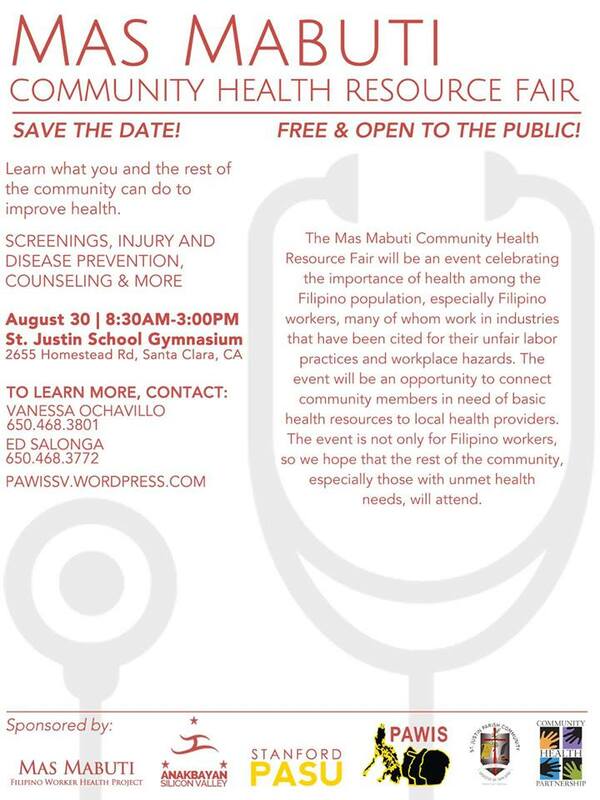 The Mas Mabuti Community Health Resource Fair will be an event celebrating the imporatance of health among the Filipino population, especially Filipino workers, many of whom work in industries that have been cited for their unfair labor practices and workplace hazards. The event will be an oppurtunity to connect community members in need of basic health resources to local health providers, so we hope that the rest of the community, especially those with unmet health needs, will attend. Screenings, Injury and Disease Prevention, Counseling & More.